Embracing Encaustic is Now an eBook! The time has finally come! The electronic edition of my book, Embracing Encaustic: Learning to Paint with Beeswax, is finally available. Publishing this edition exclusively as an eBook allowed me to create a more comprehensive book at half the price which can be downloaded instantly anywhere in the world. It is available through Amazon.com for Kindle readers, iPads, smart phones and other devices with Kindle software including Macs and PC’s. A Nook version will be available at a later date. If you aren’t a regular reader of eBooks, never fear! Follow these easy instructions on how to download and read my eBook. The surprise is that there will actually be two eBooks instead of one, both under the Embracing Encaustic title, which allowed me to include a total of 70 artists while keeping downloads manageable. 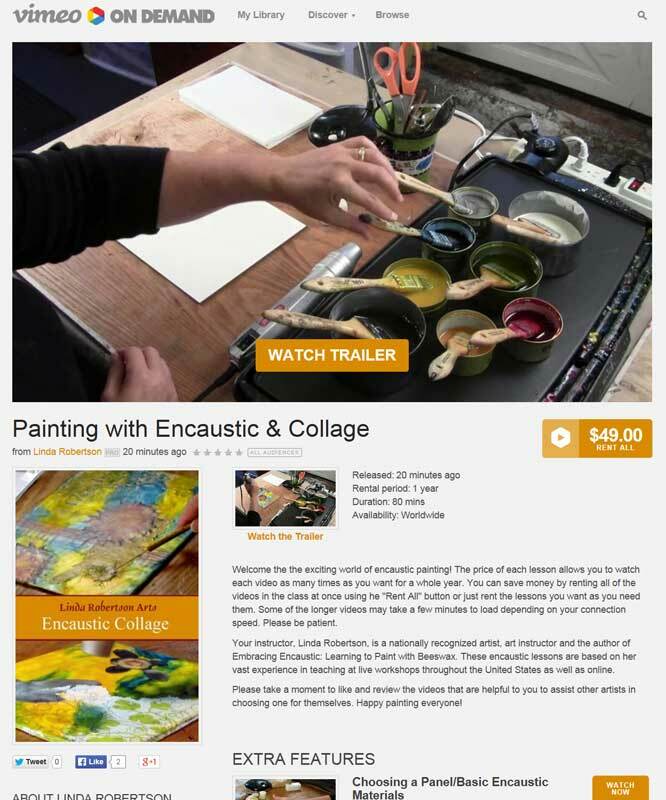 The first release is available now, the revised third edition of Embracing Encaustic: Learning to Paint with Beeswax. This contains essentially the same content as the previously printed book, but with 35 exciting new artists who not only share their work but also reveal their personal painting methods and explain why they are compelled to make the work they do. The second eBook, Embracing Encaustic: Mixing Media, will be filled with all new step-by-step techniques including working with shellac, using stencils, mark making, creating encaustic monotypes, pouring wax and more. The gallery section of the second book will include an additional 35 artists, sharing work that relates to the techniques I’ll share in that book. I expect this next book to be available by the end of March. This eBook project, started in the summer of 2012, has been plagued by difficult circumstances and bad timing. Just after I started working on it I had a series of personal challenges and everything in my life changed: divorce, buying and selling houses, moving my studio twice, health problems and more. I had to put the project on hold while I dealt with one emergency after another and rebuilt my life, both personally and professionally. I kept the eBook artists involved with progress updates and they were incredibly kind and patient with the situation. I am grateful to have worked with such an incredible group of generous artists! During this long delay a new challenge emerged. When I started the project eBooks were relatively straight forward to make and a pretty easy (if technical) DIY project. Now there are so many new devices and high definition (HD) screens are so popular that it’s become exponentially more complicated to create images that render correctly on screens of different sizes and resolution. What was once comfortably within my skill set was no longer feasible for me to do alone. I needed help! After much research I hired an excellent company to ensure the digital production would be of professional quality. Based on their expertise I decided to split the eBook into two volumes to allow better quality images and a smaller download for readers. I’m very pleased with the final outcome and I hope you will be too! Just wondering if “A Nook version will be available at a later date” in your first paragraph means an actual physical book will be available at some point. I’m old school; I like things such as books (especially instructional ones) to be in my hands or my messy workspace (where I do not take my iPad) the traditional way, I like to fold/dog-ear pages and so on. Hopefully this will be the case for this release and for your soon to be launched part 2.